We must empty the cages, not make them larger. 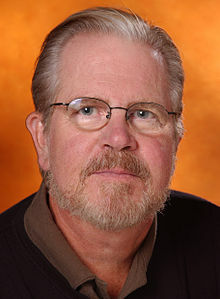 Tom Regan (November 28, 1938 – February 17, 2017) was an American philosopher who specialized in animal rights theory. He was professor emeritus of philosophy at North Carolina State University, where he taught from 1967 until his retirement in 2001. Empty Cages: Facing the Challenge of Animal Rights, Lanham, MD: Rowman & Littlefield Publishers, 2004. ISBN 0-7425-4993-3. People like me, people who believe in animal rights, feel the same way about eagles and elephants, pigs and porpoises, as most people feel about cats and dogs. Don't get me wrong. Animal Rights Advocates (ARAs) don't want pigs sleeping in our beds or elephants riding in our cars. We don't want to make “pets” of these animals. What we want is something simpler: we just want people to stop doing terrible things to them. I would never have become an animal rights advocate if I had not first been a human rights advocate, especially for those humans (the very young and the very old, for example) who lack the understanding or power to assert their rights for themselves. From my reading of Gandhi I had learned how some people in India regard eating cow as unspeakably repulsive. I realized I felt the same way about cats and dogs: I could never eat them. Were cows so different from cats and dogs that there were two moral standards, one that applies to cows, another that applies to cats and dogs? Were pigs so different? Were any of the animals I ate so different? The less gifted do not exist to serve the interests of the more gifted. The former are not mere things when compared to the latter, to be used as means to the latter's ends. From the moral point of view, each of us is equal because each of us is equally a somebody, not a something, the subject-of-a-life, not a life without a subject. What I had learned about human rights proved to be directly relevant to my thinking about animal rights. Whether any animals have rights depends on the true answer to one question: Are any animals subjects-of-a-life? This is the question that needs to be asked about animals because this is the question we need to ask about us. The task facing ARAs is daunting: we must empty the cages, not make them larger. No wonder Muddlers initially think that becoming a vegetarian is like taking a vow of culinary abstinence mixed with voluntary poverty. Of course, in time Muddlers discover that there is an incredibly delicious, colorful, and nutritious animal-free cuisine out there to be discovered, a menu of possibilities that includes foods from every nation and ethnicity in the world. It is the great new food we gain, not the customary old food we lose, that is the real surprise, something all of us have to discover for ourselves. The principal theoretician of the animal rights movement. Matthieu Ricard, A Plea for the Animals, trans. Sherab Chödzin Kohn (Boulder, CO: Shambhala Publications, 2016), p. 38. This page was last edited on 23 March 2018, at 22:19.